Todayʼs report aims to explore current practice in the EU regarding the provision of these substances for medical purposes and clarify some of the complex issues in this area in order to support science, policy and practice. 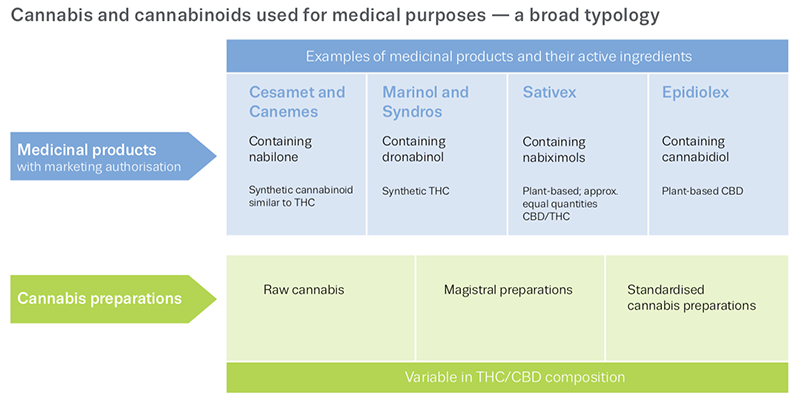 The report notes that the terms ʻmedical use of cannabis and cannabinoidsʼ can refer to a wide variety of products and preparations that may contain different active ingredients and use different routes of administration (Figure 1). 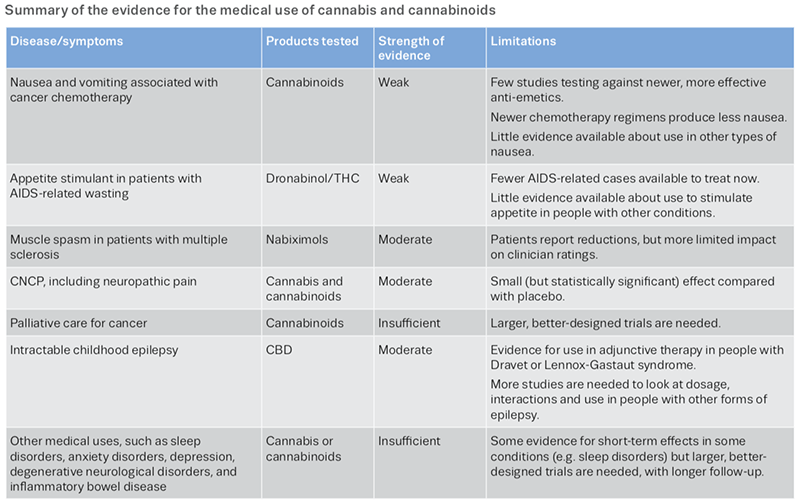 The publication provides a state-of-the-art overview of evidence for the medical use of cannabis and cannabinoids (Table 1). It concludes that more research and clinical studies are needed to fill ʻimportant gaps in the evidenceʼ. From the US and Canada, to Australia and Israel, the report presents a selection of case studies illustrating the diverse approaches used by countries outside the EU to allow the medical use of cannabis.